In large bowl, beat cream cheese with electric mixer on low speed until smooth. Add yogurt, brown sugar, honey and cinnamon; beat on low speed 30 to 60 seconds until blended and smooth. In chilled medium bowl, beat whipping cream with electric mixer on high speed until soft peaks form. (Do not overbeat.) Fold whipped cream into cream cheese mixture. Serve immediately or cover and refrigerate until serving time. 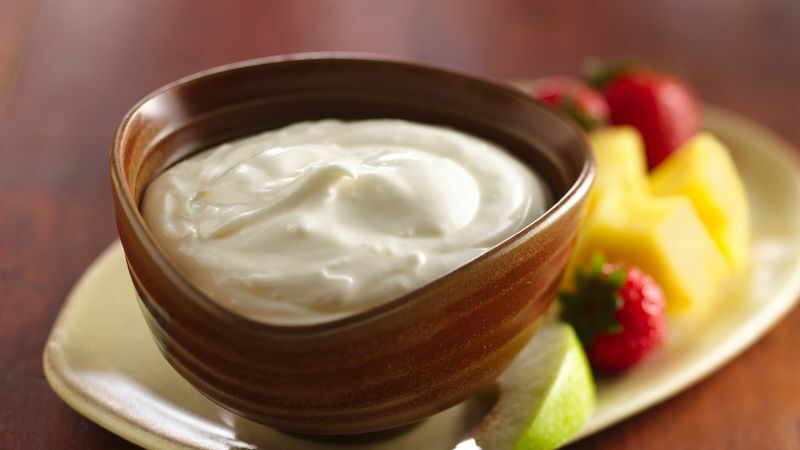 Fresh fruit pairs nicely with this fluffy dip. We also recommend serving it with cinnamon-flavored pita chips, waffles or French toast.